I went to El Nido, Palawan in September 2009 with a good friend. We had planned to check out all the El Nido attractions; unfortunately, due to the rain, all we did was stay in our hostel. One good thing came out of it though: my blog was born. I was glad then, when Carmela Alvarez of Let’s Palawan expressed her interest to write a guest post about El Nido. Hopefully I’ll be able to go back there someday. The Big Lagoon in El Nido. 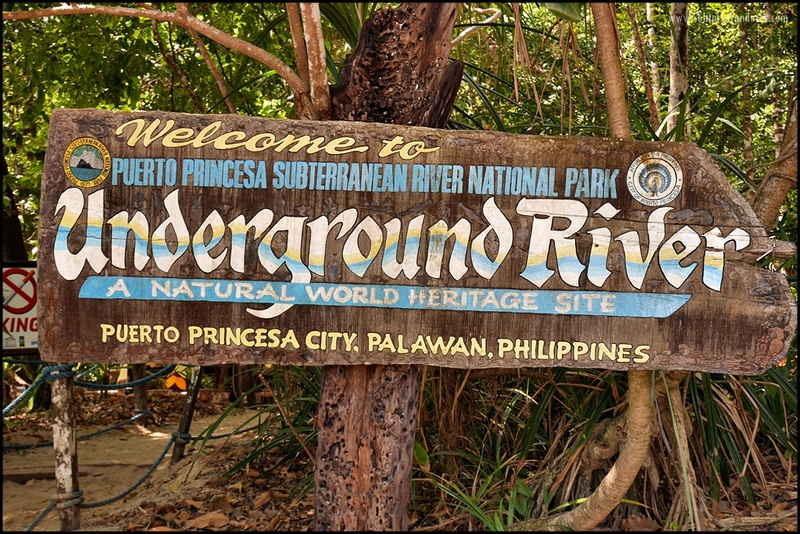 Whenever topics concerning travel and leisure in the Philippines are brought up, Palawan always comes up. It is considered one of the most beautiful islands in the world; in fact, in the most recent survey of Condé Nast Traveler readers, Palawan ranks number 1. The province of Palawan — declared a natural sanctuary — is made up of over 1,700 islands and islets with a coastline that spans over 2,000 kilometers. With its abundant natural wealth, from verdant rainforests and rich marine life to its pristine beaches, it’s no wonder why Palawan is among the top travel destinations in the Philippines. One of the best places to visit in Palawan is El Nido. It is friendly to solo travelers in that their tours — classified into four: Tours A, B, C, and D — all welcome joiners. Just choose your package for the day and go. Of course, you can also charter your own boat; there are a number of agencies there to help you out. Here’s more information about each El Nido tours. El Nido Tour A — covers the small lagoon, big lagoon, hidden lagoon, lunch, Shimizu Island, and the 7 Commando Beach. Check here for tour rates (around $17). 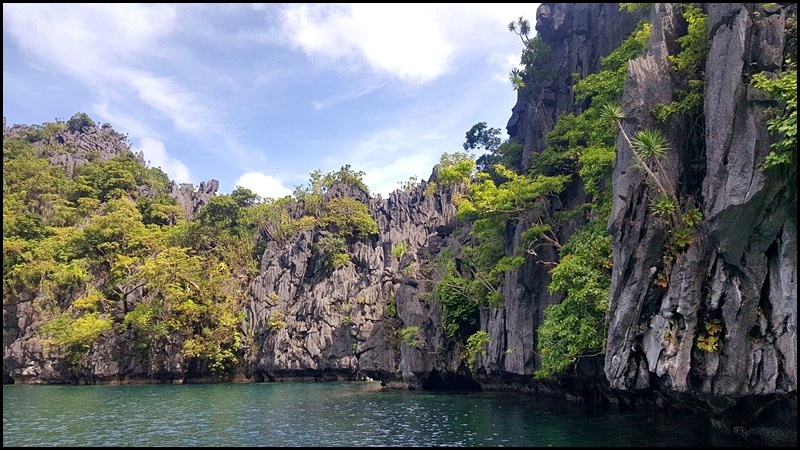 El Nido Tour B — covers island hopping to Snake Island, Pinagbuyutan Island, lunch, Papaya Beach, Cudugnon Cave, and Cathedral Cave. Check here for rates (around $21). El Nido Tour C — covers Helicopter Island, Matinloc Shrine, lunch, Secret Beach, Talisay Beach, and Hidden Beach. Check here for rates (around $24). 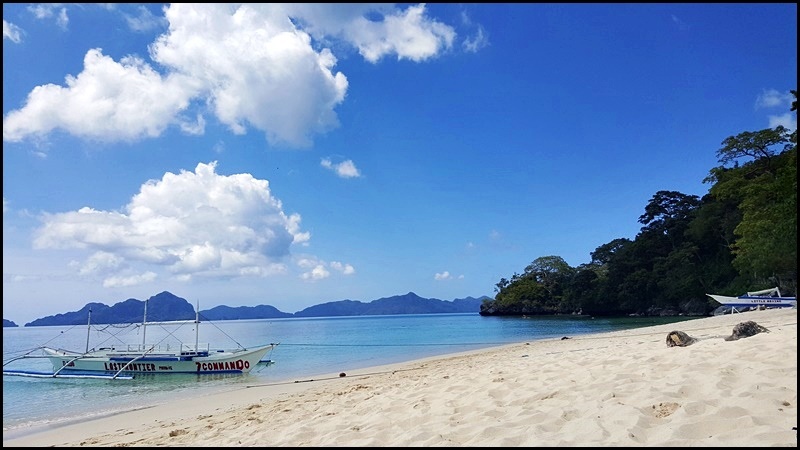 If you’re visiting Palawan soon, here are some of the best things to do in El Nido that you should include in your itinerary. The Big Lagoon is one of the most popular locations for kayaking adventures in El Nido, as well as for various water activities including snorkeling and water surfing. Aside from the great view — think karsts cliffs and clear blue waters as a backdrop — the water is also calm, making for a relaxing time with nothing but beauty around you. Another thing El Nido is known for is its pristine white sand beaches. One of these is the Seven Commandos, which, according to legend, was named after the seven soldiers who once lived there. Aside from the obvious best things to do there — swimming and snorkeling — you can also just chill at Seven Commandos. There’s a bar on the beach where you can have fresh drinks and smoothies, and also play volleyball or some water sports. The beach is the final stop of El Nido attractions included in Tour A. The stillness of Nacpan Beach. 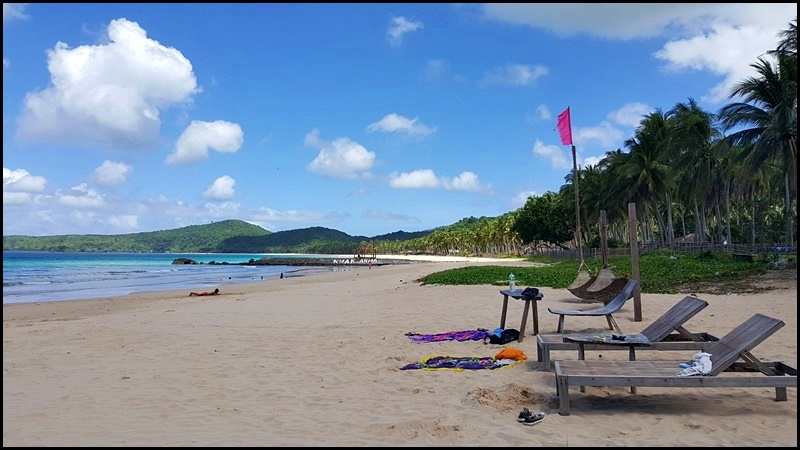 If you want to escape the noise of the city or simply want to find the perfect quiet spot in El Nido to unwind, Nacpan Beach is for you. It’s a bit of a pain to get there, especially during rainy season, but it’s very much worth it. The place is tranquility personified, with a long stretch of fine white sand, clear blue waters, and picturesque views. It’s not crowded, too (an understatement), so you get the feeling of having the beach all to yourself. Definitely a must if you want some quiet time. Another must visit is the stunning Shimizu Island, named after a Japanese scuba diver who died there. 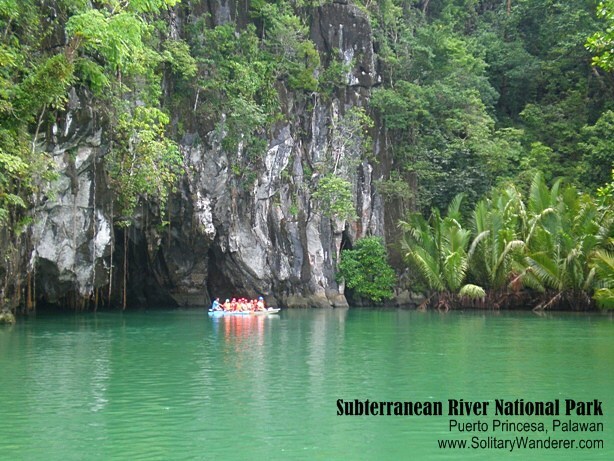 With its beautiful cliff formations and blue waters, it is indeed a highlight of El Nido attractions. The main attraction in this Tour A destination is its rich marine life. There are schools of colorful fishes just a few meters from the shore, making it a good spot for snorkeling. Shimizu is also great for picnics and beach bumming, with its white sand beach and limestone cliffs as a backdrop. The beautiful view from the peak of Mt. Taraw. Taraw Cliff, otherwise known as Taraw Peak or Mt. 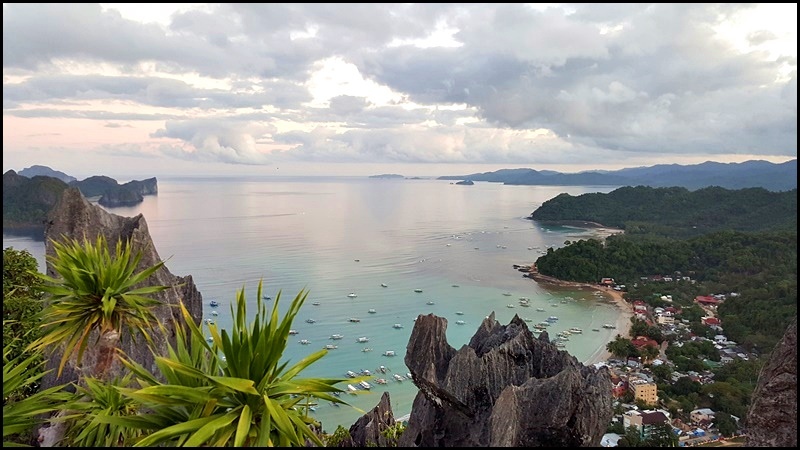 Taraw, is the highest point in El Nido, and climbing it is definitely a must when you go visit. This ageless limestone monolith draws climbers and mountaineers, both beginners and experts alike. The panoramic view from the summit will give you the finest bird’s-eye view of El Nido and is absolutely worth the effort of going there. BONUS TIP: If you can, go on a TAO Expedition. a camping and sailing trip adventure that will take you around the islands of Palawan from Coron to El Nido, or the other way around. You will go swimming, snorkeling, or kayaking during the day, and at night, you camp out at any of the TAO base camps. All throughout the day, you will enjoy fresh seafood and veggies prepared by the TAO staff. What more can you ask for in a vacation? With its beautiful lagoons, white sand beaches, and clear blue waters, there are indeed many things to do in El Nido. It is definitely one of the best places to visit in the Philippines. Go visit Palawan when you have the chance! Carmela Alvarez is an editor at Let’s Palawan. She’s a 20-something bubbly and adventurous female who loves to take selfies. 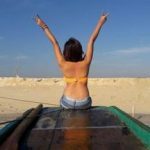 Her aim is to share her travel experience and inspire travelers. Came across your blog when I was searching for things to do in Palawan. We only have 7 days to explore Coron, El Nido, and Puerto Princessa. Thanks for sharing your tips, it is making my “trip planning” a bit easier. Oh yes to these activities. The only thing we weren’t able to do during our visit to was kayaking around Bacuit Bay. 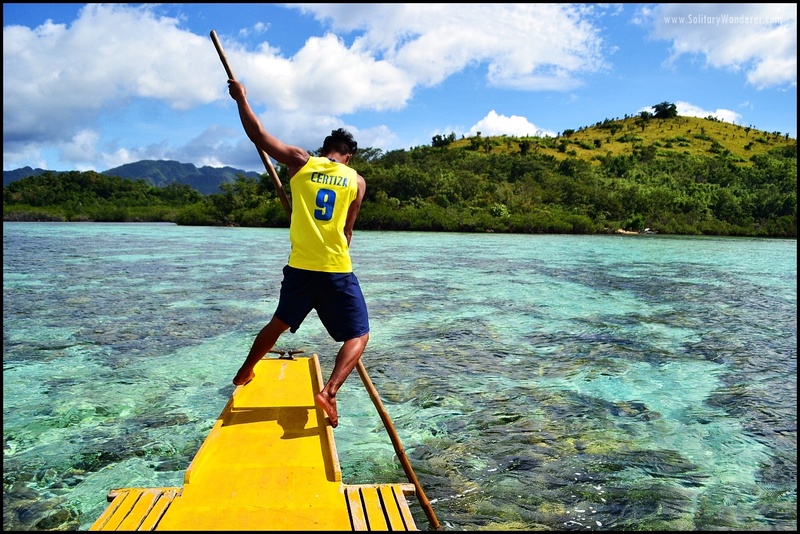 We also heard that there is a separate set of adventures in Cadlao Island, which we want to try as well. Scuba diving is also a top-selling adventure there. Cadlao Island is supposed to be Tour D. I only did A and C when I was there. Definitely a lot more to do in El Nido. I hope I can go back this year! Hi Aleah. I just love Palawan. From Puerto Princesa to El Nido, from Coron to San Vicente. Just paradise. I want to go back too. Last time I was in El Nido was in 2009. Sigh. If there is one thing that is a must when I go home – this is it. Yeah, you should definitely include Palawan in your list. Super highly recommended.